Plastic is a disaster that every single one of us has to face. There's simply no way around it. 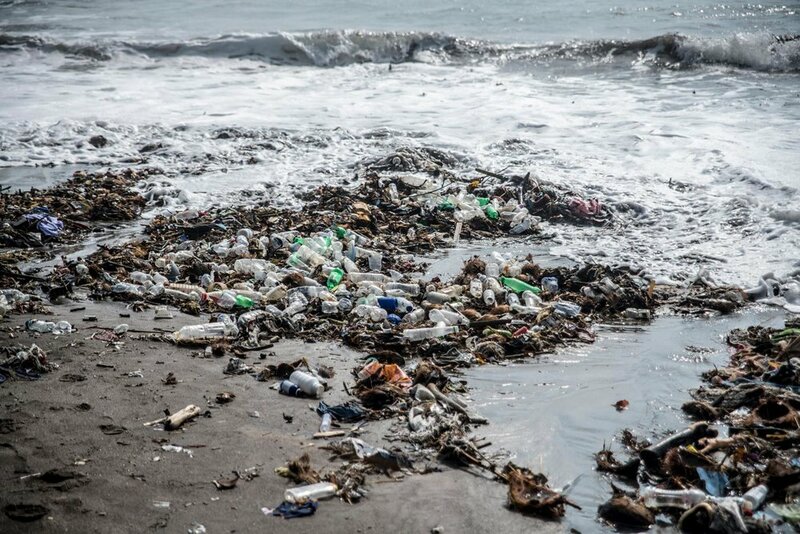 In just a few decades there may be more plastic in the oceans than fish, and the price we pay for dead oceans may be the ultimate price. While plastic isn't the only thing killing the oceans (animal agriculture is the single greatest cause of ocean dead zones, and then there's catastrophic overfishing), it's an urgent problem that requires innovation and action. Every pair has unique GPS coordinates, your link to a specific island and progress towards its protection. 100 sunglasses sold protects one island from marine plastic pollution, for one year. Launching exclusively at Net-a-Porter in editions of 100 pairs." Enter Parley, an organization started by Cyrill Gutsch to protect and raise awareness about the fragility of the oceans - especially from the impacts of plastics. Most recently they've launched @cleanwaves "the creative fundraising platform where artists, designers and scientists use their skills to create products from @oceanplastic, turning them into ‘Symbols of Change’" with 100% of the proceeds going towards their work to save the oceans. Their first products are sunglasses, Clean Waves - Archetype Series 1, made from recycled ocean plastic, which will be available on NET-A-PORTER. "The oceans are dying. But it’s not too late to save them. Only creativity and collaboration will end marine plastic pollution." By leading with innovation, design and strategic collaborations with major companies like Adidas, SOMA and Corona, Parley has been able to catalyze a process of change already underway in the creative industries, but one that has not been happening fast enough or with much direction.